London has a regulated private auto insurance system. Insurance providers in the Ontario city compete for the market space and hence rates vary widely between auto insurance companies. In some cases, the London auto insurance premiums may vary by hundreds or even thousands of dollars, you definitely don’t want to spend an additional thousand dollar when you can get the same features and coverage for less, do you? The best way to get a suitable coverage is by shopping around. Yet shopping around could be a difficult task. You will have to compare tons of policy options; this might take you hours of tireless searches and efforts to get the desired coverage. You don’t have to put in that much effort, Insurdinary is here to help. Call Insurdinary for London auto insurance suitable for you. When you call Insurdinary, we will connect you to reliable insurance advisors in London who will make it easier for families and drivers to save money on London auto insurance. The advisors compile and compare auto insurance quotes from various auto insurance companies, helping you to choose the coverage that is best for you. Choosing the right London auto insurance policy could be difficult. You need to strike a balance between what you want and the cost offered by the provider. However, the auto insurance rate offered by different auto insurance companies for the same car and driver may vary in hundreds or thousands of dollars. In other words, you don’t have to only keep an eye on the coverage that gives you the best features but you also need coverage that saves you the biggest cost. While shopping around could be a daunting task, Insurdinary is here to help you make it all easy. We can connect you to reliable and experienced insurance advisors in London who will help you to get the most suitable London auto insurance. Our insurance advisors know exactly where to search for the auto insurance you want based on your needs and requirements. To read more about London auto insurance, click here. The most popular vehicle insured by married couples in London: 2004 Acura MDX Touring 4DR 4WD. The most popular vehicle insured by singles in London: 2017 Honda Civic EX 4DR. Percentage of drivers in London who have not reported an accident in the past 10 years: 87%. 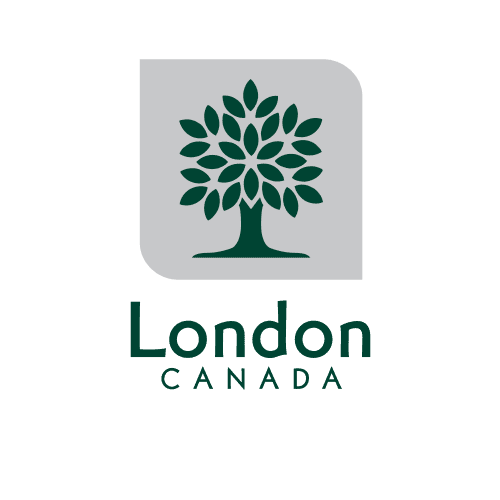 To learn more about London auto insurance, click here. The Highway Traffic Act requires that every individual directly or indirectly involved in a collision should immediately report to the police if the collision resulted in injuries, damage to highway property, or property damage above $2,000. You are also required to report to the police in case of hit and run collision. When involved in a collision, the law requires you to provide the following information to any witness or person who sustained loss or injury: your name, address, driver’s license number, and the province it was issued, car insurance company and policy number, license plate number, and name and address of registered owner of the vehicle, if it not you. Keep a few copies of the collision pamphlet in your vehicle. It may become relevant if you are involved in a collision. Also, check the fees that apply if you require towing services. To learn more about the right London auto insurance collision center, click here. Premier Doug Ford’s government announced on the second week of January that it would review the Ontario auto insurance system to minimize the rates paid by drivers. The review is necessary since Ontario drivers pay one of the highest insurance premiums in Canada even though they are some of the safest drivers in Canada. A study carried out in 2017 shows that Ontarians pays 55% above Canada average in auto insurance. Former premier Kathleen Wynne failed to deliver on her 2013 promise to lower premiums by 15%. According to the Ontario auto insurance industry, fraud is the reason for high insurance rates. However, that is only part of the problem. The insurance expert, David Marshall, pointed out that one-third of all insurance benefits (up to $1.4 billion per year) go to lawyers and medical experts in courts rather than treatment for crash victims. This is even bigger than the estimated cost of insurance fraud of $1.3 billion per year. To learn more about London auto insurance news click here.